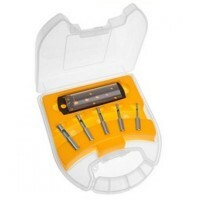 Dewalt DT6039 7MM Extreme Diamond Tile Drill Bit Features Extreme diamond tile bit, desig..
Dewalt DT6042 12MM Extreme Diamond Tile Drill Bit Features Extreme diamond tile bit, desi..
Silverline 217584 Ceramic Tile And Glass Drill Set Features Includes sizes 5mm, 6mm and 8..
Dewalt DT6037 5MM Extreme Diamond Tile Drill Bit Features Extreme diamond tile bit, desig.. Size 6mm. 1/4in hex shank. Drills clean and accurate holes. 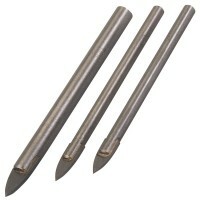 Spear headed tu..
Dewalt DT6044 20MM Extreme Diamond Tile Drill Bit Features Extreme diamond tile bit, desi..
Dewalt DT6046 Diamond Tile Drill Bit Set Features Extreme diamond tile bit, designed for ..
Dewalt DT6043 15MM Extreme Diamond Tile Drill Bit Features Extreme diamond tile bit, desi..
Dewalt DT6025 25MM Extreme Diamond Tile Drill Bit Features Extreme diamond tile bit, desi.. Size 8mm. 1/4in hex shank. Drills clean and accurate holes. Spear headed tu..
Hole size 6mm. Use for drilling ceramic tile, glass and mirrors. Tungsten carbide.. Size 3mm. 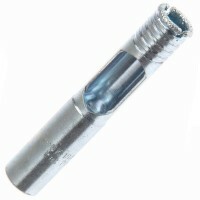 1/4in hex shank. Drills clean accurate holes. Spear headed tungst.. Size 12mm. 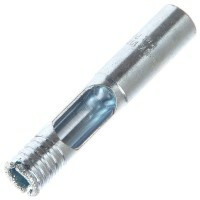 1/4in hex shank. Drills clean and accurate holes. Spear headed t.. Size 5mm. 1/4in hex shank. Drills clean and accurate holes. Spear headed tu..
Hole size 5mm. Use for drilling ceramic tile, glass and mirrors. Tungsten carbide..